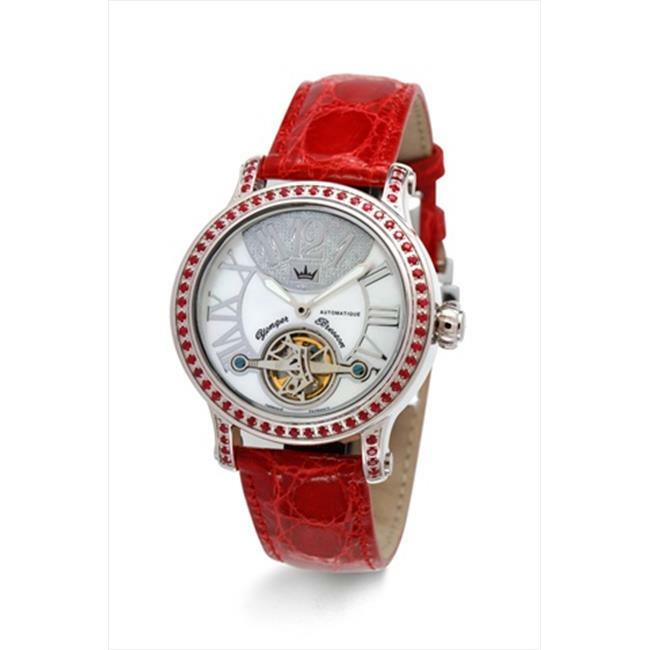 This Yonger and Bresson women's timepiece impresses all with its elegant and fashionable design. The stainless steel case with 68 1.36 carats ruby, smoothly compliments the mother of pearl dial with Roman Numerals and a beautiful design. Automatic self- wind movement, mineral crystal window and 50 meters water resistance, are just a few of the details that make this watch so impressive. Its red crocodile leather print band secures with a deployment push button clasp with buckle. Combining updated modern style with a luxurious and attractive look, this timepiece is sure to be a winner.